Mommy don't cry. 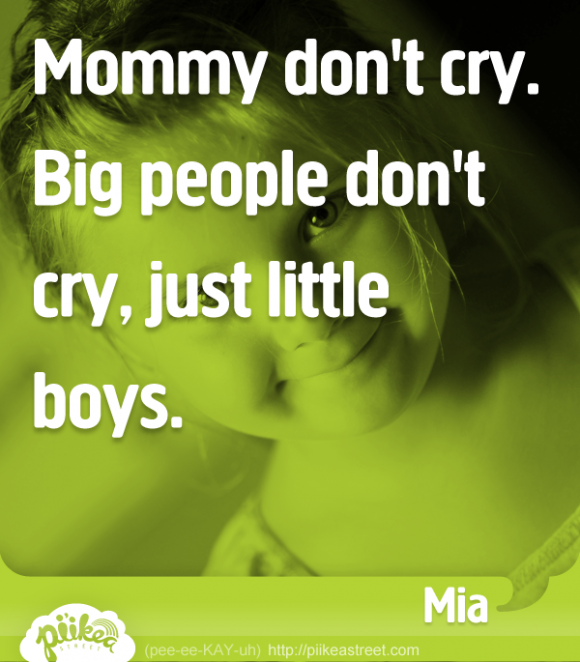 Big people don't cry, just little boys. | Pi'ikea St.